First things is first! You all need to read this important and first time milestone event: I packed less than Dave or Ryan for the New England trip. Sure, Dave is going to Yellowstone and I'm not but the facts are facts, I packed less! Packing these past few weeks, to say the least, has been crazy. I had 3 massive piles going: one for the remainder of my times in Kansas, one for Burma and one for New England / Idaho. It was a bit overwhelming and looked like someone dropped a clothing bomb. 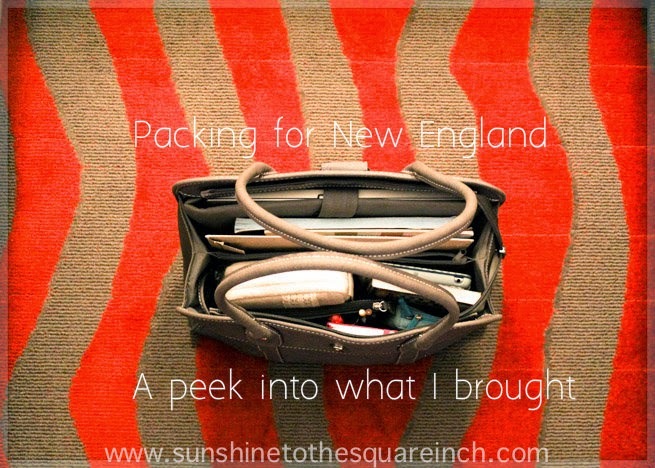 I had a big pile for New England however, I knew I needed to cut back because we were hauling all our camping gear and we were also picking up our friend Ryan for a week, meaning room was limited in our mid-size SUV. I decided to only take my big backpack (35L), a computer bag, my camera bag, a jacket and vest. I thought I’d give you a peek into what I packed plus some little tips I figured out. I shared some of my previous packing tips before but I think I've learned some more tips even after that. I always think it is interesting to see what people pack, so hopeful you will too. 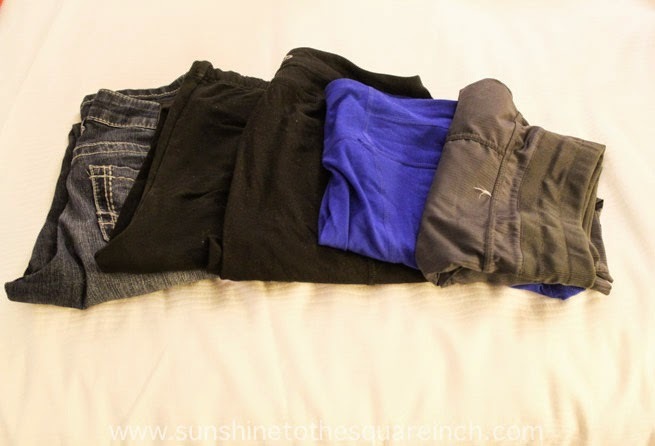 5 pairs of pants + 1 pair of shorts: 1 pair of jeans, 3 black leggings, 1 blue leggings. I picked these pants because they are super versatile and comfortable. 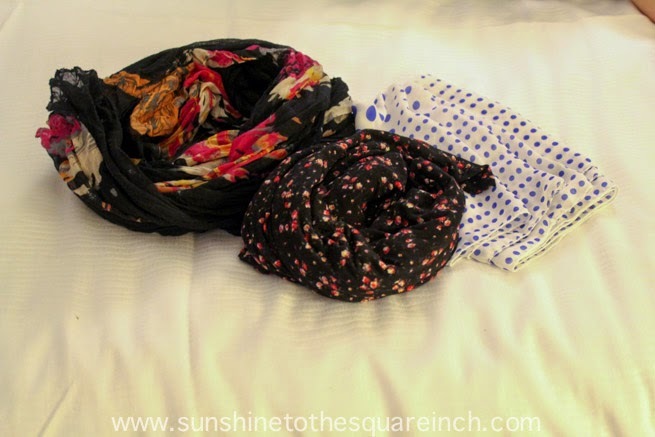 *tip – I packed 3 black leggings because one of the pairs literally has some holes in them (thigh area…ha!) and I know I can throw them out at the end of this trip and won’t have to take them home. 2 dresses - Only one is pictured here because I was wearing the other one when I snapped these pictures. Toiletries - Obviously I had to have these. I did figure out that instead of placing things in cute travel bags I can place them in ziplock bags and they lay flat and are easier to pack. It’s been working great so far. I also brought a mini hair dryer, brush, flat iron, dry shampoo and spray in hair conditioner. 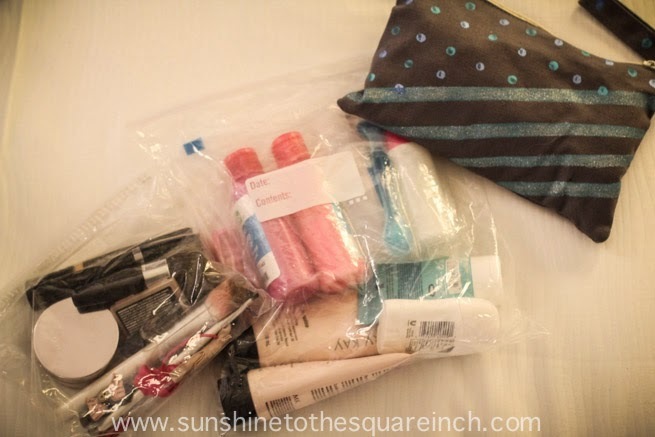 Medicine Bag – If you don’t pack a medicine bag when you travel I highly recommend doing so. Dave taught me this practice. I pack allergy medicine, Ibuprofen, stomach medicine, ear medicine and Vitamin C packs, all in a ziplock bag of course. I might not always use everything in the bag but I’m glad I have it just in case. Even on this trip I managed to get an outer ear infection so the drops have come in handy. I was in search for a big computer bag that could house a ton of stuff! TJMaxx came in for the win! This bag was only $24.99 and it fits so much stuff. Every time Dave picks the bag up he comments how much it weighs which means it holds a lot of awesome stuff. In this bag I have my computer, iPad, iPhone, Bible, Bible study, journal, book, and more! It's a great bag. I feel like after writing out what I brought it was a lot. However, for being on the road for 27 days and only planning on doing 1 laundry stop I think I did pretty good. What do you pack for trips? 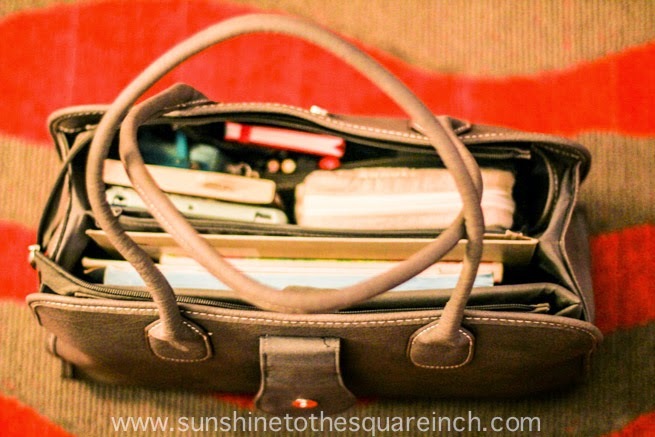 Are you a light packer or do you pack a big suitcase? What is the lightest you have ever packed? What is the most you have ever packed? Do you have any packing tips? If so, share away in the comments. We'd love to hear. 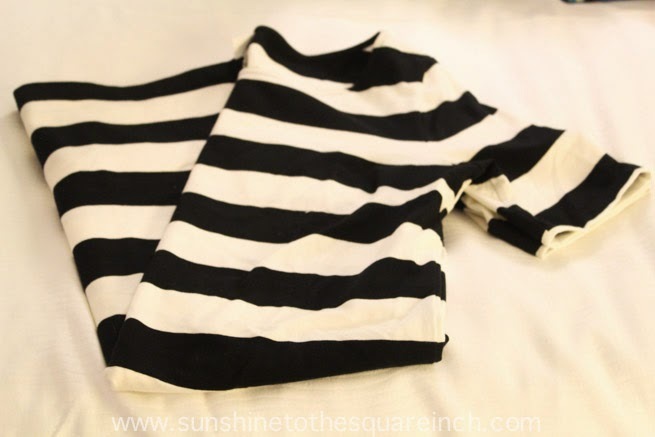 Weird question: Do you fold or roll your clothes? I can never decide which method gives me more space in my luggage. 27 days and 1 laundry stop! that is awesome!!! i try to pack light but all of my bathroom/hair stuff takes up 50% of my suitcase! I can understand that. It's hard to know what tops to take. I guess I did take a lot of shirts but I think that you can make a shirt look way different with a scarf or by adding a layer (cardigan) or something on. Is this trip to Utah the same on you took this year? Do you go twice a year or once? ha ha! I understand. Toiletries really do take up a ton of room. I finally just packed light on those and I purchased a bunch of the 3oz. travel size tubes and that has helped a lot. I also take minimal makeup so that cuts down on stuff too. Visine! I never thought about that but I don't wear contacts. However, that still might be nice. I do take 'Neosporin' it is just in little packs called 'triple anti-biotic ointment'. My Dad owns a safety company so he has all these little packets of ibuprofen and Neosporin stuff so I stock up from him. A carry on luggage to Hawaii is SUPER LIGHT! How did you manage to do that? What did you do there for a year? I fold my clothes but rolling might be great for backpacks. I forgot all about rolling. With Asia though I have to worry about weight no rolling. So great! I was actually thinking about doing a similar post because I just packed for our cruise in a carry-on and after seeing how much sheer luggage people hauled aboard the ship, I figured they could use some tips haha :-) I've always been fairly good at packing light, mostly because my brothers would make fun of me if I brought a ton of luggage. My biggest tip for packing light is laying out everything I'm going to take and then putting half of it back. Maybe not half, but at least 1-2 items of each category (tops, bottoms etc.) It takes some self control but I'm always glad I did, because even doing that I still feel like I overpacked. 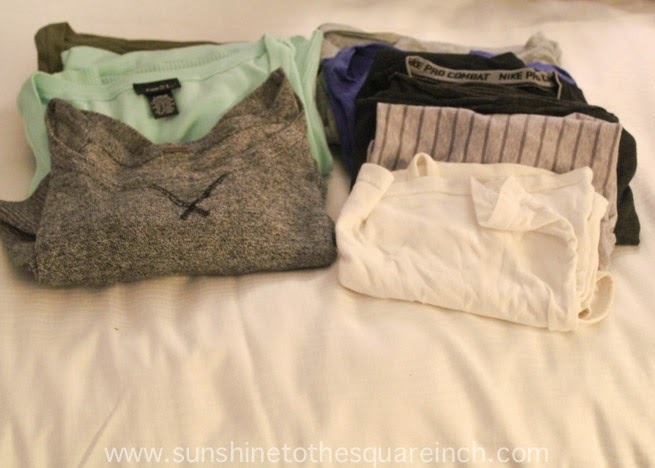 Also, rolling clothes instead of folding them saves some SERIOUS space (even though you don't think it would). And if there's one thing that I do overpack it's medicines lol. The nurse in me generally packs a regular pharmacy, but then I do try to weed it out a bit and keep it to a minimum (claritin, sudafed, vitamin C, AZO for UTIs, excedrin, ibuprofen, and pepto-bismol are my basics). Your computer bag is so so great! I'm inspired to go find me a good one! Loved reading this. Totally going to be trying my own packing one day for my road adventures. My mom taught me to pack a medicine bag since she always did. We just use an old suitcase, one that is small and looks like it might be for makeup or something. Hers is red so we can see easily. Plus she always packed in where is was really easy to get to cause we were children and got sick alot. I went in June, and then we're going back in February. So just one each year. That's where our conference is, but it will be in a different place next time. That is a grand idea! Was the flea market the big one in Oahu? That would be interesting to see what you packed for a cruise. I have heard that people pack a ridiculous amount of luggage on cruises. I also started packing lightly, in part, because on an overnight trip to see my brother I packed a full suitcase. ha ah! He told me it was ridiculous and i needed to stop. I do the same thing with laying all my clothes out and then putting some back. I agree it really does help. I keep forgetting to roll my clothes! I should try it. However, when it comes to Asia it isn't so much about rolling as it is about weight. I overpack medicines too. I hate hate hate being sick when traveling so anything to help is great. I don't pack meds for UTI's but that is a good idea! That's good that your Mom always brought a medicine bag. I don't know why I never thought of that before. I always took stomach medicine when I traveled to a different country but not all of the other essentials. I don't think it's something everyone thinks of, especially if your mostly health. My brother has specials needs and I have had sick problems so she kinda HAD to take one. She also drove where she was going to it was easier to take it with us on the road then to search for a grocery store. Just my thoughts about it though.